Wacker Remodel LLC, is a residential and commercial general contracting corporation servicing the Portland Metropolitan area. We provide efficient, high quality craftsmanship at competitive prices for all phases of remodeling. We specialize in high quality custom kitchen and bathroom remodels, whole house remodels, as well as major additions. 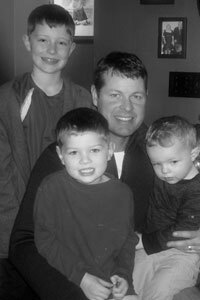 Scott Wacker, owner, is a Licensed General Contractor and a NARI Certified Remodeler. He has owned his company and been licensed in the state of Oregon for 20 years. He lives in Portland with his wife and three children.